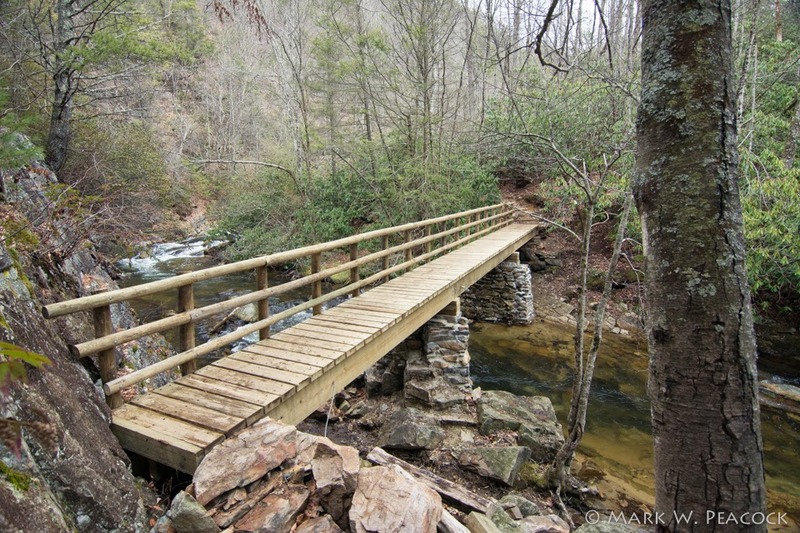 This past October, a new bridge was completed on the Appalachian Trail leading to Laurel Fork Falls from Dennis Cove Road. 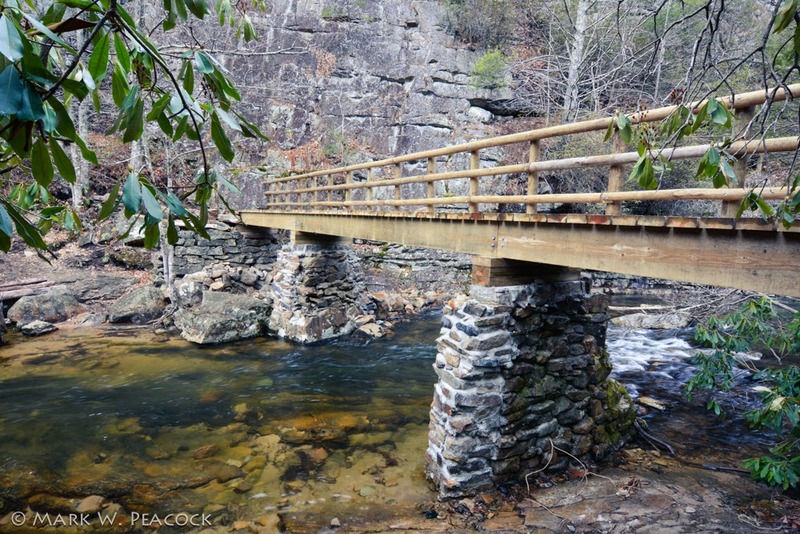 The new "Koonford Bridge" is in the same location as the older, narrow bridge in the Laurel Fork Gorge. Though considerably wider, I'm glad they kept the handrails on just one side, just like the older bridge. 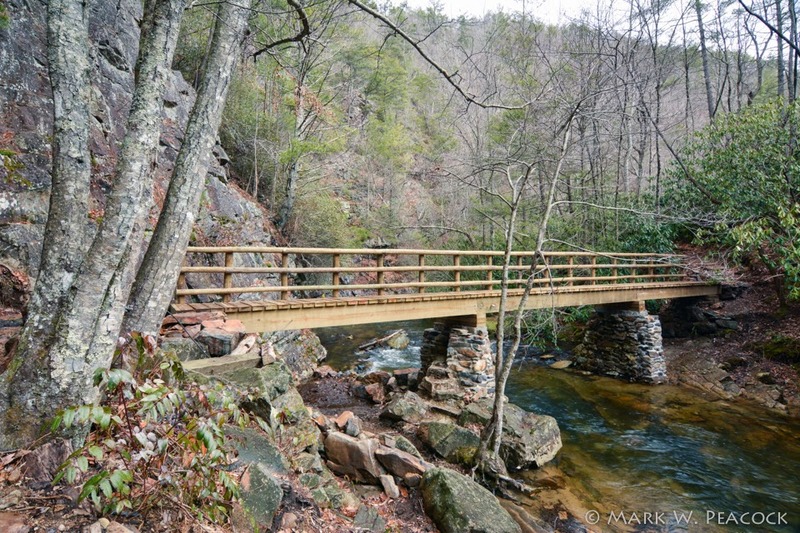 This wasn't just a replacement project -- in order to accommodate the new, wider bridge, volunteers had to first widen and raise the stone support piers. 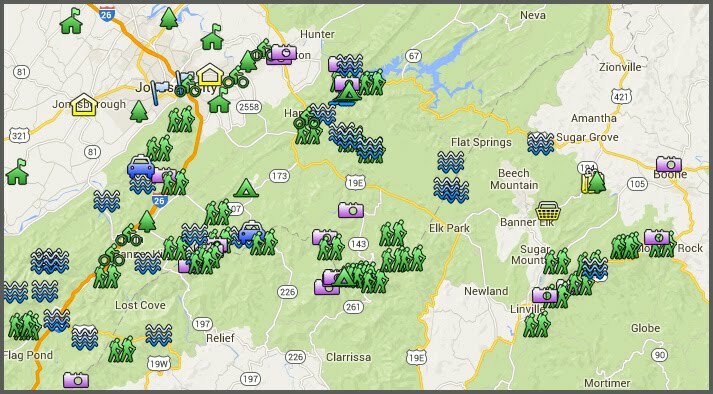 Here is a link to a series of videos showing the dedicated volunteers who made this happen. The new bridge is very impressive both in its scale and craftsmanship. Sixty-six feet in length, it took about two months to complete. Some of you might remember that back in January of 1998 the central section of the old bridge was washed away in a flood and quickly replaced by a crew of volunteers. That 'quick fix' held up really well for 16 years.